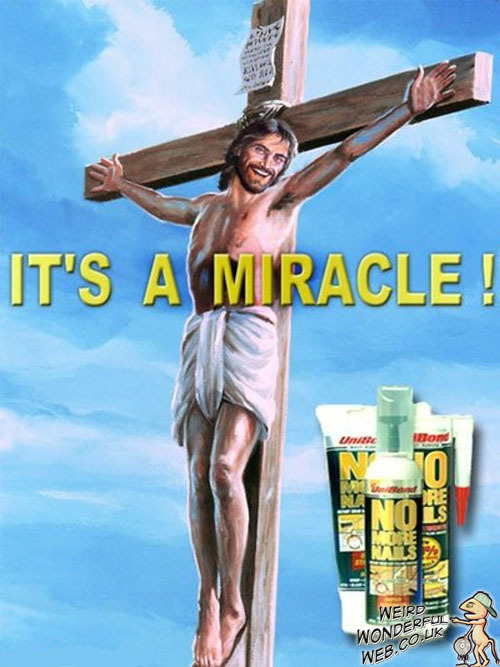 Weird Wonderful Web: No More Nails - Jesus approved! The glue product 'No More Nails' is quite amazing. Some people might even go as far as to say miraculous! As you can see, it is suitable for many varied fixing jobs.